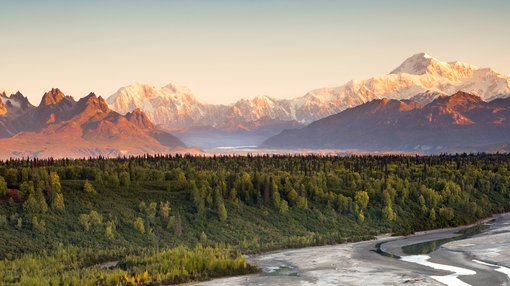 White Rock Minerals Ltd (ASX:WRM) has today provided an update on its inaugural exploration field program at its flagship Red Mountain project in Alaska. The company outlined the highlights of the exploration program to date and reiterated its success in discovering massive sulphide mineralisation in outcrop within three months of starting the program. Results, which are summarised below, include some of the best drill hole results from the VMS field and included a brand new discovery with grades greater than 20% zinc + lead. WRM has already collected an enormous amount of geological data from its intense on-ground field work, and much of this information is now working its way through the assay laboratories. Once compiled, that information, together with the current and outstanding drill hole results, will be assessed and reported, and used to plan next year’s exploration program. WRM note that an assessment of this existing and new data could also lead to a possible JORC Resource update. The 2018 field season saw continuous use of a diamond drill rig. Drill targets included initial validation drilling of the two known deposits (Dry Creek and West Tundra), extension drilling at Dry Creek, and nine new targets tested with 13 drill holes including discovery of the Hunter massive sulphide mineralisation five kilometres west of the Dry Creek deposit. In addition to continuous drilling, the field season also encompassed up to three geological reconnaissance and surface geochemical sampling crews active throughout the field season, and two months of a CSAMT ground geophysics team. The CSAMT survey followed a detailed orientation program of ground geophysics that included moving loop electromagnetics and induced polarisation – resistivity across known mineralisation, and also the use of downhole electromagnetics. The above maps the location of new prospects identified from surface reconnaissance, CSAMT coverage (blue lines) and surface geochemical soil samples highlighting anomalous zinc and lead soil geochemistry (red squares >1,000ppm zinc or lead and orange squares >500ppm zinc or lead), including the surface projection of massive sulphide mineralisation at Dry Creek and West Tundra, and all drill hole collars (green – 2018; black dots historic), on topography. It is an early stage of this company’s development, so if considering this stock for your portfolio you should take all public information into account and seek professional financial advice. - Discovery and successful drill testing of the new Hunter prospect massive sulphide mineralisation with 1.4m at 17.4% zinc (Zn), 3.9% lead (Pb), 90g/t silver (Ag) and 1.6% copper (Cu) for 25.8% zinc equivalent (ZnEq) from 48.2m (HR18-01). - Best drill intersection at West Tundra deposit with 3.5m at 15.1% Zn, 6.7% Pb, 518g/t Ag, 2.1g/t Au and 0.2% Cu for 35.2% ZnEq (WT18-28). - Best drill intersection into the Discovery Lens at the Dry Creek deposit with 4.7m at 19.5% Zn, 7.8% Pb, 466g/t Ag, 6.9g/t Au and 1.5% Cu for 49.7% ZnEq (DC18-79). - Down dip extension of the Fosters Lens at the Dry Creek deposit with 4.3m at 4.8% Zn, 2.3% Pb, 1435g/t Ag, 2.2g/t Au and 0.5% Cu for 43.2% ZnEq (DC18-77) remaining open down dip. WRM Managing Director and CEO Matt Gill said, “We are very pleased with the success of our first field season in Alaska at the Red Mountain project. Through an aggressive approach deploying a drill rig early on the tail of geological prospecting, surface sampling and ground geophysics, we have been rewarded with the discovery of massive sulphide mineralisation in outcrop within three months of starting our very first program. “The discovery of a new massive sulphide occurrence at Hunter, open along strike (traced for 500 metres) and down dip, goes a long way to supporting the thesis that the Red Mountain project has the potential to host multiple deposits and expand into a true VMS camp.